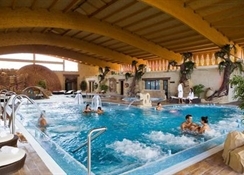 The Grand Hotel Callao is located in the stunning resort of Callao Salvaje. 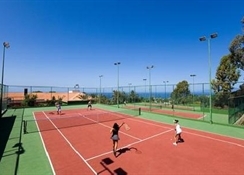 It is situated in one of the best areas in the South of Tenerife. This hotel has been built with an eye for detail. The architecture revives traditional buildings, colours and typical village structures from many years ago. With the intension of giving guests tranquillity this is a peaceful haven. This hotel is unique given its endless sports you may require on your holiday. Beautiful views can be seen from the terraces of this hotel of the sea and the Island of Gomera. Getting to the hotel: The Grand Hotel Callao is 28 km from the Airport. Local tips: The beach is 2km from the hotel and Playa Las Americas is just 5 km away. 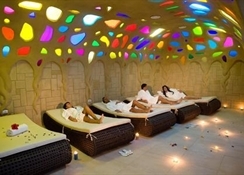 Within the resort centre you will find a variety of bars, restaurants, shops and nightclubs. There is plenty of nightlife to choose from. Food, drink and entertainment: The main buffet restaurant offers international cuisine and healthy products and spices that have been selected carefully. The Pool Bar has a wide range of beverages plus a snack menu. The Hall Bar is located next reception where you can chill out and relax; sit on the terrace with a stunning pool view. 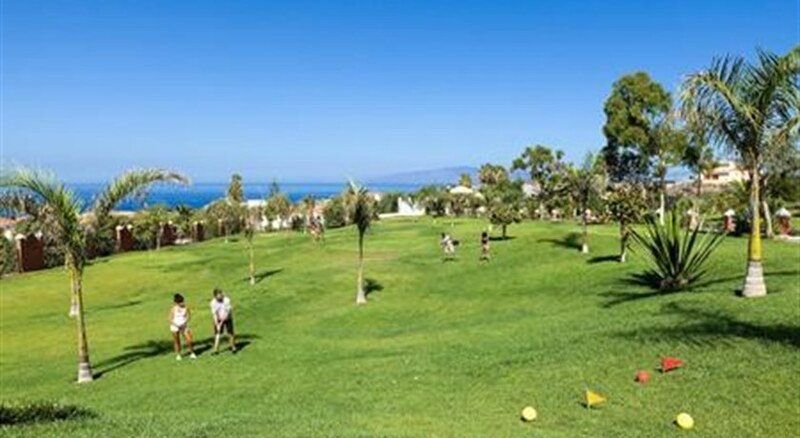 The Chill-Out Bar has amazing sea views as well as beautiful views of La Gomera Island. For the kids: Children's swimming pool. 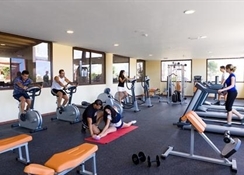 Additional: 24 hour reception desk, currency exchange, parking, internet access and air conditioning, shuttle service from the hotel to the beach of Playa Del Duquem, starting on 1st December 2011. Room description: All rooms are equipped with air conditioning, bathroom with a shower,flat screen satellite TV, direct dial telephone, mini bar, safety deposit box and balcony/terrace.